Masturbation, onanism, self abuse. Call it what you will. We all know that it is a mortal sin, morally reprehensible, responsible for the death of many small kittens and a direct cause of blindness. So the next time you feel tempted to “choke the chicken” or “stroke the salami” I suggest you seriously think about purchasing one of these. 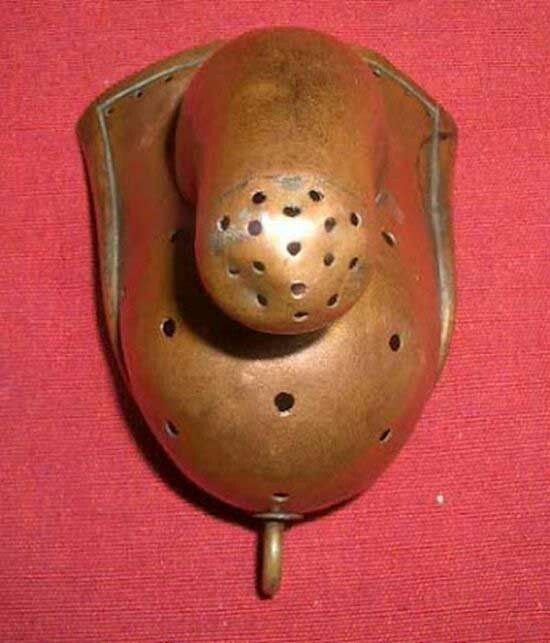 Commonly used in 19th century lunatic asylums it was a most effective deterrent as you can imagine! No more spanking the monkey for you! This entry was posted in Thoughts on March 28, 2014 by Miss Myers.